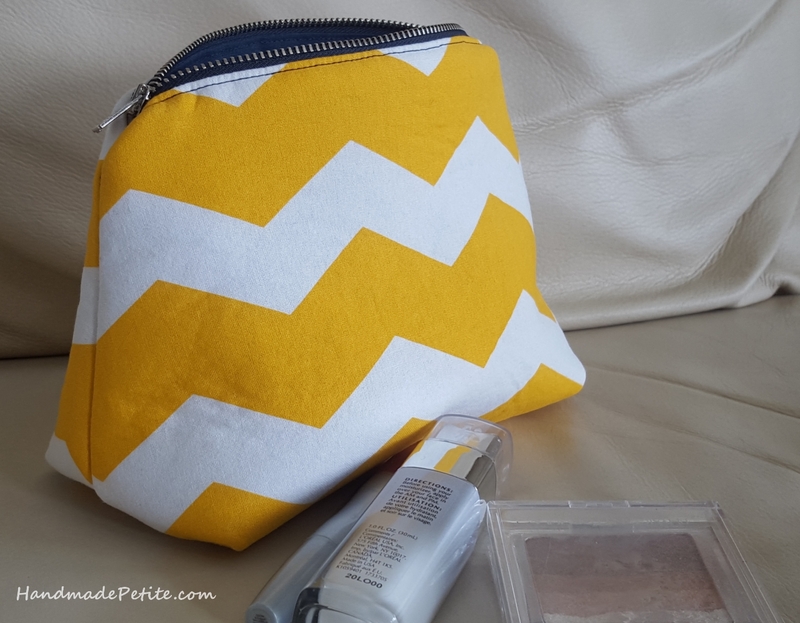 The makeup case in my gym bag has been slowly falling apart and I had some leftover scraps of fabric still sitting on my table from another project so I figured it was the perfect time to put my sewing skills to use on something practical. Not that apparel sewing is not practical, but home decor sewing usually feels more utilitarian to me rather than inspiring. On the upside there's no need to make a muslin and fiddle with the fit. I used tutorial from So-Sew-Easy. It was my first time going through it and the whole project still took under an hour. Talk about instant gratification! Not to mention good use of scraps and a very handy result. 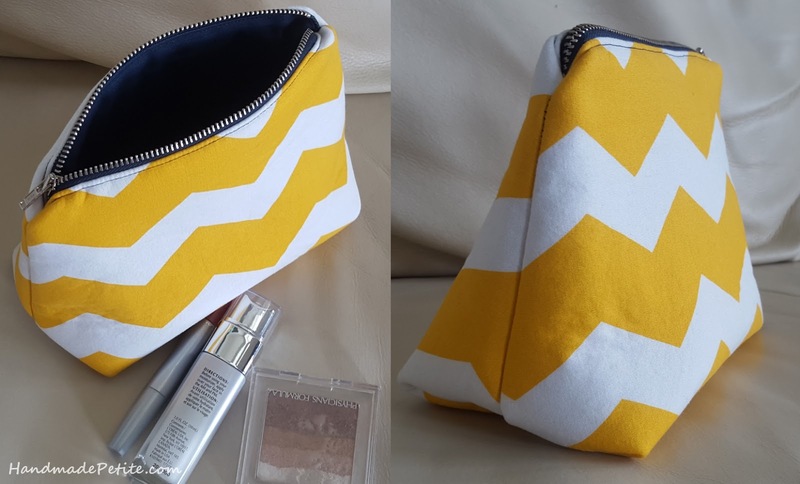 I had a lot of fun making the bag and liked how it turned out so I decided to also make a gift set for a friend at the same time. The interfaced bag is very roomy. I put a bottle of lotion and some makeup here to show scale, but it will fit about 5 times as much. I used thick Pelon interfacing that's usually recommended for bags. It gives the bag enough structure to stand up on its' own, but it's still soft and folds easily. The flat bags I just made on my own without a tutorial, but I think there are a lot of others online so I'm not going to replicate it here. These bags are lined in contrasting fabric, but not interfaced so they were even quicker to sew. The longest part was inserting the zipper and top-stitching. That's it, there's not a whole lot to it. The bags can be made up in any size you want. I scaled mine to match the zippers I had laying around so I wouldn't have to spend time shortening them.